Baie-Comeau’s Maison Anita-Lebel is not a house like others. It provides shelter to female victims of domestic violence who are reorganizing their lives and who need accommodation for up to 12 months. 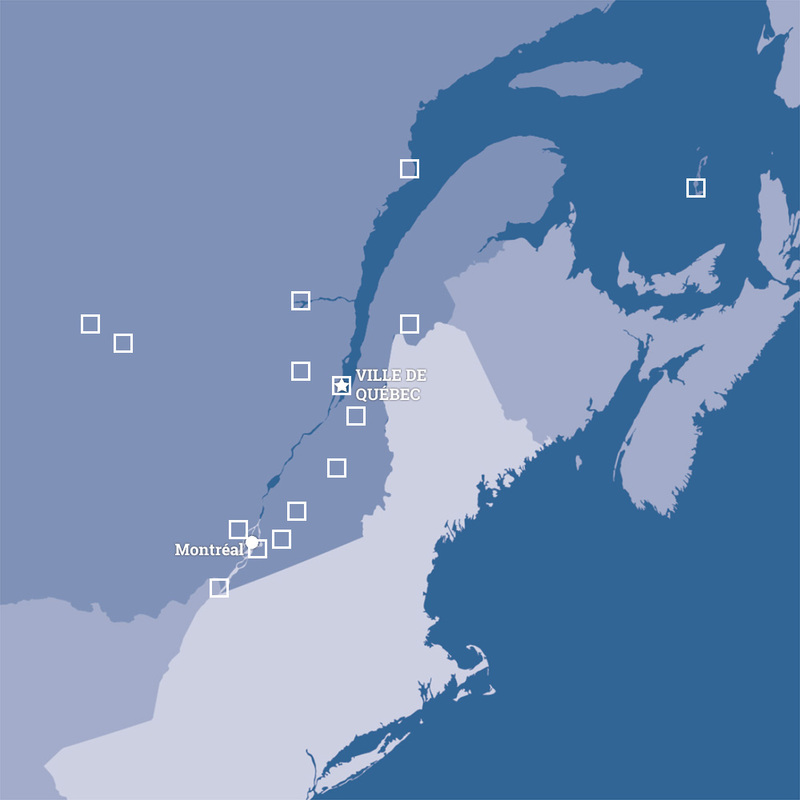 These women, with or without children, come from a territory than spans from Tadoussac to Baie-Trinité, 300 kilometres apart. 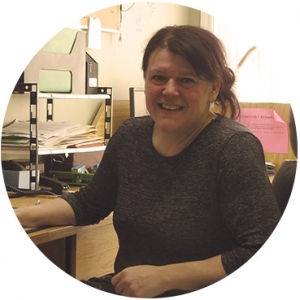 “A woman comes here to get the best skills possible in order to be able to function alone in an apartment and, above all, so that she never has to relive domestic violence,” says the coordinator and true conductor of Maison Anita-Lebel, Suzie Levasseur. The idea for Maison Anita-Lebel dates back to the mid-’90s, when councillors at the Baie-Comeau Maison des femmes, which offered short-term accommodation, found that they lacked an essential service: transition or so-called second-stage housing. It took a tragedy to open everyone’s eyes to the importance of that kind of resource. On Sept. 9, 1996, Baie-Comeau resident Françoise Lirette and her son were murdered by her violent ex-partner, who then committed suicide. The murderer had publicly declared his intention to do just that, but nobody could intervene to prevent it. miracles with a slim budget of around $125,000 a year to both manage an eight-unit building and offer specialized services in domestic violence. Women who go to Maison Anita-Lebel, about 15 a year on average, find refuge and a chance for a fresh start. In return, they must agree to a proposed minimum program that includes group sessions and a monthly individual follow-up, to develop their autonomy and to respect the code of conduct. 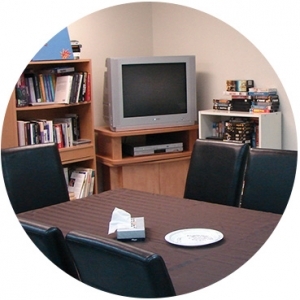 Women and children residents can enjoy the common room, which has Internet service and a collection of books, DVDs and video games. Residents can’t have male visitors except immediate family. 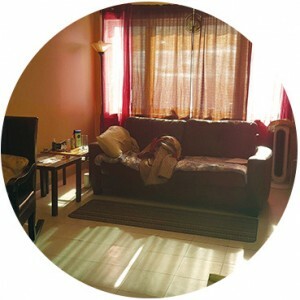 “This is their cocoon, their place of refuge. Women must learn to live alone,” Levasseur emphasized. As for the code of conduct, it requires among other things that they not be in a suicidal crisis and they do not consume alcohol or drugs in the apartment. To maintain security requires a high level of confidentiality, which is essential for the protection of women who could be threatened. So outsiders can’t photograph the residents. For the record, the real Anita Lebel, a citizen of Baie-Comeau, was a pioneer in providing women with shelter. During the 1970s, when this kind of service didn’t exist, Lebel took women and children who were victims of domestic violence into her home. “She housed them, fed them so they could catch their breath before heading to their families or reorganize elsewhere, so they could fly on their own,”, said Levasseur, an obvious admirer of the work of Anita Lebel.